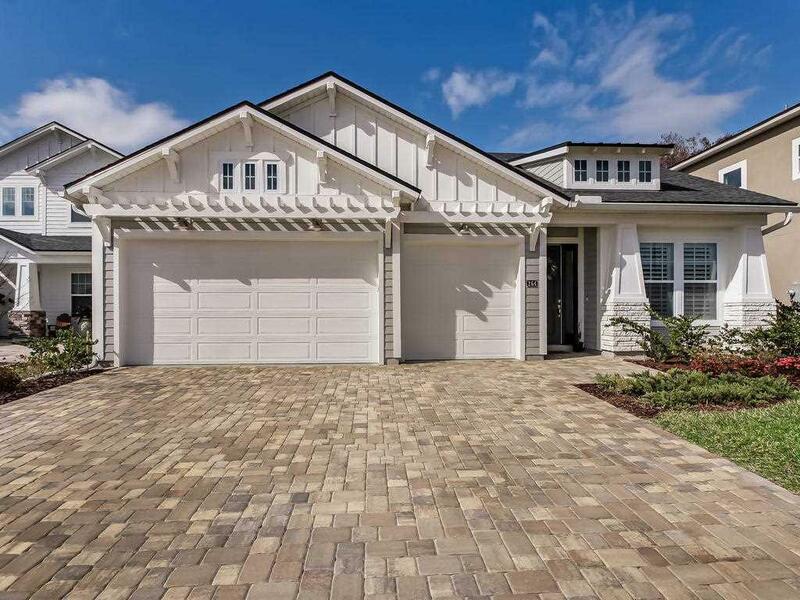 This Gated Coastal Oaks of Nocatee home has a relaxed beach vibe. 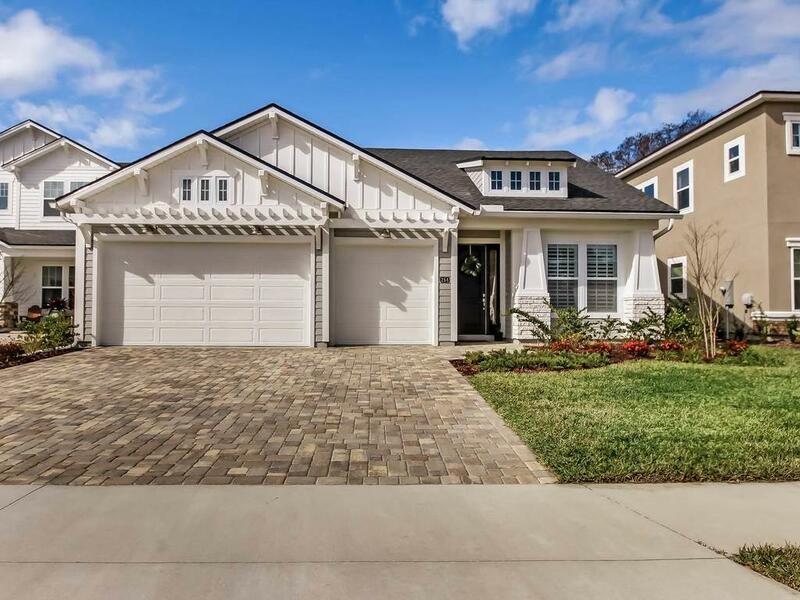 The warm wide planked engineered wood flooring extends throughout all living spaces of this Toll Brothers Anastasia floorplan w/ Coastal elevation. Set on a lakefront lot the views from the great room & kitchen extend out across a pavered covered lanai. Kitchen is upgraded with apron sink, soft close drawers, Whirpool stainless steel gas cooktop, stacked ovens,dishwaher and much more read additional comments. Open House 3/2 2-4pm. 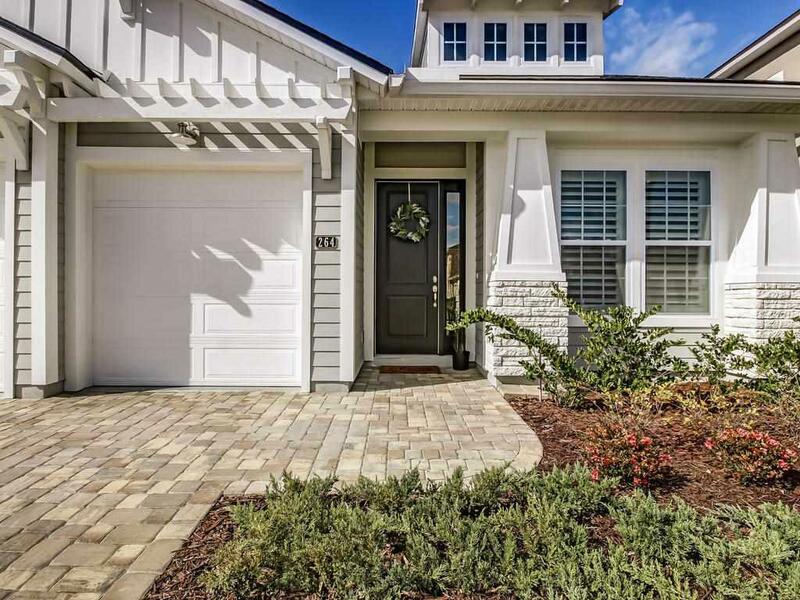 The Gated Coastal Oaks community of Nocatee home has a relaxed beach vibe. 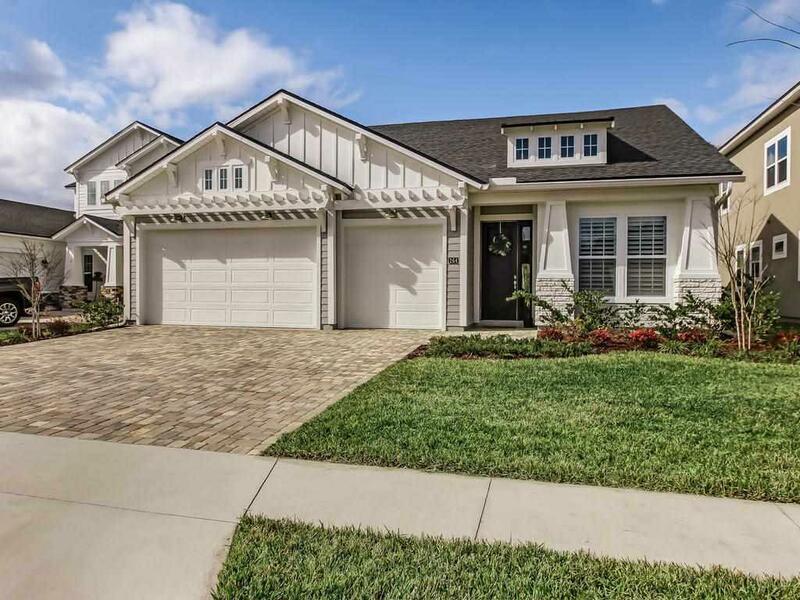 The warm wide planked engineered wood flooring extends throughout all living spaces of this Toll Brothers Anastasia floorplan w/ Coastal elevation. Set on a lakefront lot the views from the great room & kitchen extend out across a pavered covered lanai. Kitchen is upgraded with apron sink, soft close drawers, Whirpool stainless steel gas cooktop, stacked ovens,dishwaher and multi-drawered Stainless Kitchen Aid Refrigerator. A gray paneled California Bar accents white cabinets & tiled backsplash. Great room offers shiplapped textured wall & secondary bedrooms are separated by flex space. Master suite includes large dual raised vanities, seamless glass shower, open walk-in closet & so much more! View today!